January 12, 2016 – The Space and Missile Systems Center released a solicitation January 8, seeking proposals for the Global Positioning System’s GPS III Space Vehicles 11+ Phase 1 Production Readiness Feasibility Assessment contract. The solicitation is for a competitive firm-fixed-price acquisition with up to three contracts awarded. 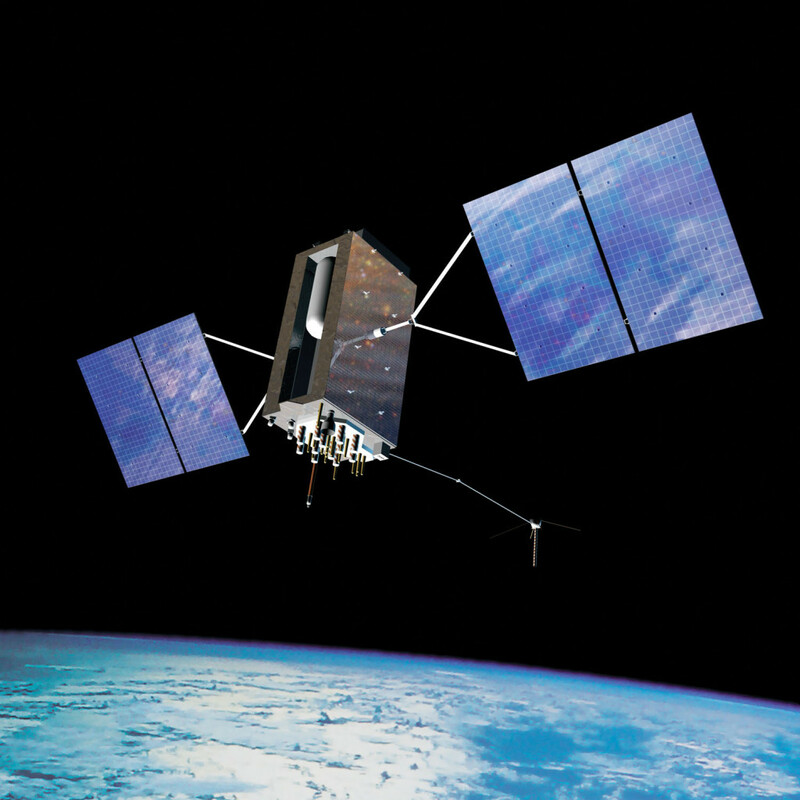 The SMC GPS Directorate intends to award the GPS III Phase 1 contract in the third quarter of fiscal year 2016. The anticipated period of performance is 26 months for the basic contract, and two options of 6-months each, for a total possible period of performance of 38 months. “Industry told us they were ready to compete for the GPS III space vehicles. We listened and are looking forward to working with industry to assess the feasibility of a follow-on, competitive production contract,” said Col. Steve Whitney, director of SMC’s GPS Directorate. GPS III SV11+ will use the current GPS III SV01-08 requirements baseline with the addition of a redesigned Nuclear Detonation Detection System Government Furnished Equipment hosted payload, a Search and Rescue/GPS GFE hosted payload, a Laser Retro-reflector Array GFE hosted payload, Unified S-Band compliance capability, and a regional military protection capability. No changes are allowed to the GPS Next Generation Operational Control System or Military GPS User Equipment interfaces. Operated by U.S. Air Force Space Command, the GPS constellation provides precise positioning, navigation and timing services worldwide seven days a week, 24-hours a day.